JAMB Suspends Staff Who Claimed Snake Swallowed N36m. 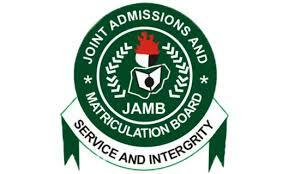 The Joint Admissions and Matriculation Board on Sunday said it had suspended one of its staff, Philomina Chieshe, who claimed that N36 million from proceeds of scratch cards and others had been swallowed by a snake. Chieshe, who works in the Board’s office in Makurdi, Benue State made the claim in a statement she offered auditors who asked her for the missing money. She said: “I was one of the four sales clerks attached to JAMB office in Makurdi. “My responsibility was to sell scratch cards to candidates and not involved in handling the revenues. “It was the responsibility of Joan Asen and my other senior colleagues. “I only remit money when am done selling the cards. “It was a mystery to me too. “I have been saving the money in the bank, but I found it difficult to account for it. “So I started saving it in a vault in the office. “But each time I open the vault, I will find nothing. “I became worried and surprised how the millions of Naira could be disappearing from the vault. “I began to interrogate everybody in the house and office, and no one could agree on what might have happened to the money. “I continued to press until my housemaid confessed. “She said that the money disappeared ‘spiritually’. Speaking with The PUNCH on Sunday, the Head of Information of JAMB, Fabian Benjamin, said: “She has been suspended and she is going through all other disciplinary procedures while investigation is ongoing on the matter. ASUU Strike: Negotiating Team To Present Union’s Demand At FEC Meeting. LASU Give Deadline For Admission Screening.